The research team reviewed the survey results of 17,567 adults that were over the age of 19 years and found that 347 of these adults ate avocados on a daily basis. Men and women were equally represented in the group. The average serving size that these people consumed was half of a medium-sized avocado. People who ate a serving of avocado on a daily basis tended to follow the recommended dietary guidelines for people in the United States, since they tended to eat more fruits and vegetables than those who did not eat avocados on a regular basis. The subjects that consumed avocados on a daily basis also had more fiber, vitamin E, magnesium, potassium, and vitamin K when compared to people who did not have avocados. Even though their daily calorie intake was the same, people who included avocados in their daily diet regime had a higher intake of fats that are considered healthy as compared to the participants that abstained from avocados. 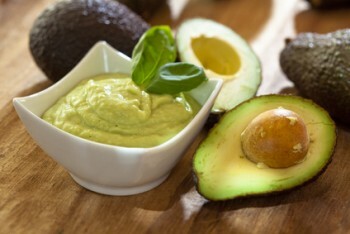 When the research team investigated the health difference between the group of subjects that ate avocados on a daily basis with the group that did not eat this fruit, they found that the people in the avocado group had a 50 percent lower risk of metabolic syndrome, which is associated with the development of type 2 diabetes. Additionally, people who included avocados in their diet had a lower risk of stroke and coronary artery disease. Another health benefit discovered in the people who ate avocados was higher levels of “good cholesterol” when compared to the control group. Avocados appear to help people stay slim as well. Those in the study who included this fruit in their daily diets weight seven and a half pounds less than those who did not eat the avocados and their waist circumference was an average of four centimeters smaller. They also had lower body mass indexes when compared to people who did not eat avocados. With the multitude of benefits associated with avocado consumption, finding ways to incorporate them into your daily diet may be a smart choice. 1Fulgoni VL, Drehe M, Davenport AJ. Avocado consumption is associated with better diet quality and nutrient intake, and lower metabolic syndrome risk in US adults: results from the National Health and Nutrition Examination Survey (NHANES) 2001–2008. Nutrition Journal. 2013.